Upon opening this months Glossybox* I was taken aback by the box itself, it's beautiful. I love the peach toned, black & white flowered covered design. All I kept saying was 'What a gorgeous box!' but albeit you are not paying for the box, well maybe you are but it's the contents that matter. Did the April box live up to the outer appearance? A box to love, with April being my birthday month, I look at it as my birthday box - oh the sad life I lead. At first glance these products look like I would use, enjoy and possibly purchase. So let's dig deeper! One this smells from in the bottle reminds me of something at first I thought Bacardi Rum but then after a few more smells it didn't and now it's still unidentified. This Wheat Protein and Kukui Oil spray is designed to counteract frizz and increase shine whilst giving you volume without residue or stickiness. A triple action mask that deeply cleanses, exfoliates and brightens the skin. With kaolin clay, skin brightening fruit acid complex, ground walnut shells and a bespoke blend of calming essentials oils - rosemary and palma rose. I've heard good things about balance Me, a brand I've been wanting to try. This one I will be trying over the week and giving a review on. Great for those with dry skin, able to nourish skin for 24hours, skin is nourished more times at night up to 5 times more. This helps to transform your dry skin into something that is soft and comfortable. Smells good enough to eat. Smooth and absorbs well into the skin, once again another brand & product that's been on my wishlist but with me being such a product junkie it would be unfortunate to purchase it and store so it's lovely to have a mini sized tub to get try and use up quicker. A sheer pink shade, would be good to team up with white tips if you are a fan of french nails. I needed two layers when I tried it out cos the one layer made it look like it was just a tinted clear polish. 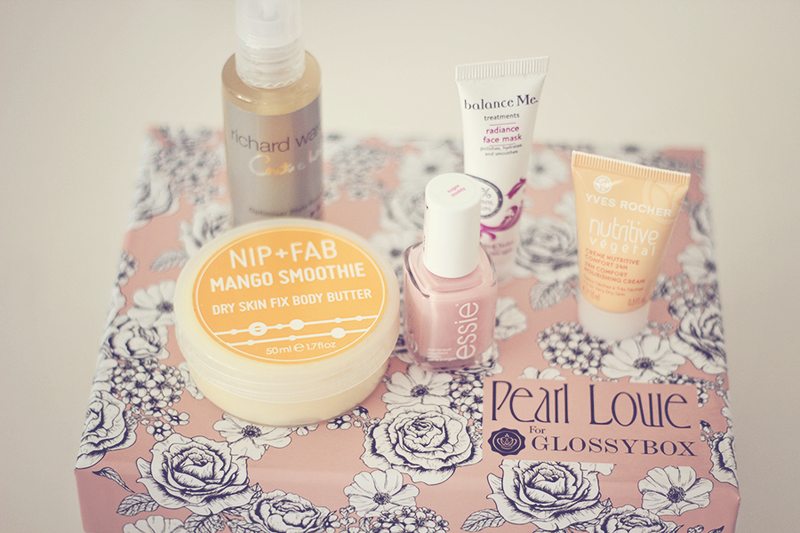 Really enjoyed and liked this Glossybox, what did you get in your box? I've never suscribed to beauty boxes as at times they can be a bit of a hit and miss. This months does look good though! A full size Essie nail polish? The contents are a lot more expensive than the actual box! 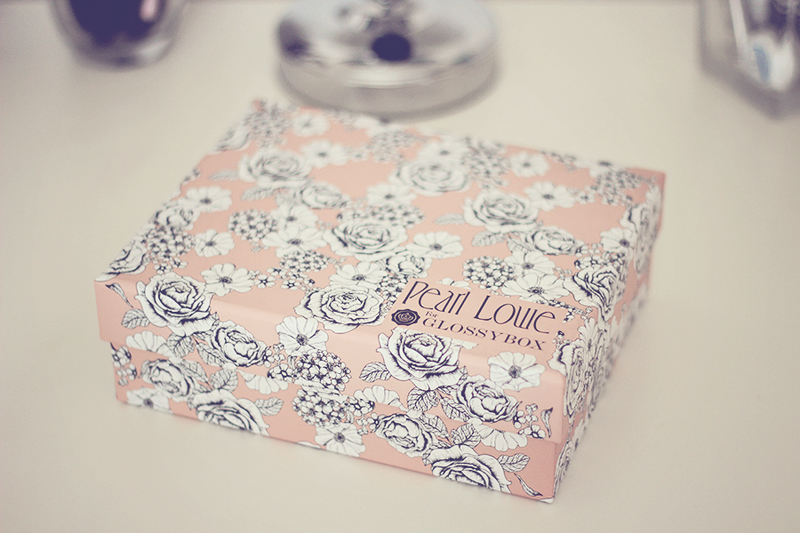 The packaging pattern, I die. That mango smoothie especially, divine. The smell, I'm ready to go bath salts crazy on myself.